Women on the ledge: Does it get more romantic than this? You always get the best jobs. As a follow-up post, I think we'd all like to see pics/video of you actually unclogging the toilet (or at least some photoshopping of the event). All evidence of the event has been flushed. If it's anything like my house, the *only* person who ever clogs it in the first place is "the man", because using an irrational amount of toilet paper seems to be a male issue. And you live with 5 of them!! Exactly Julia. 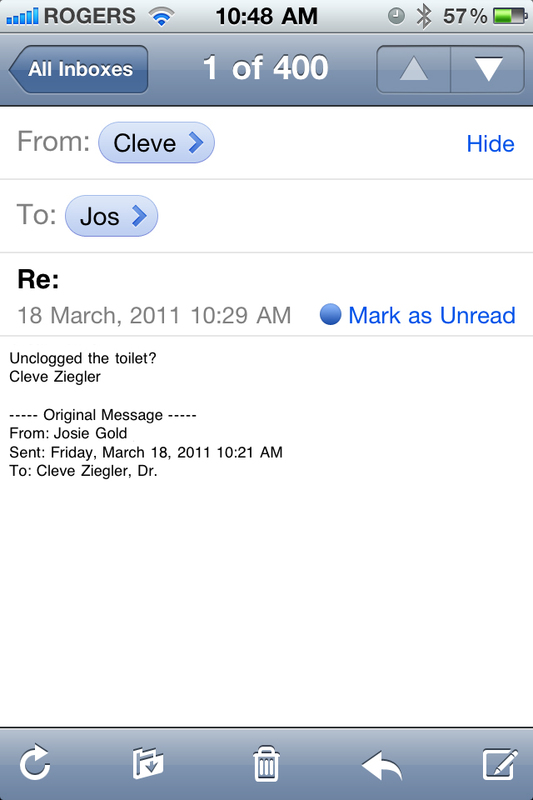 It's like I have some secret plumbing degree that makes me a better plunger...er than Cleve. I seem to also have an electrical degree which makes me a better light bulb changer.